Speical conditions apply. Entry to Sweepstakes is eligible to legal citizens of the Unitied States of America only. The "Grand Prize" winner must "Like" the VisitBarbados official fan page on Facebook .The "Grand Prize" is not transferable or redeemable in the form of a cash equivalent value. 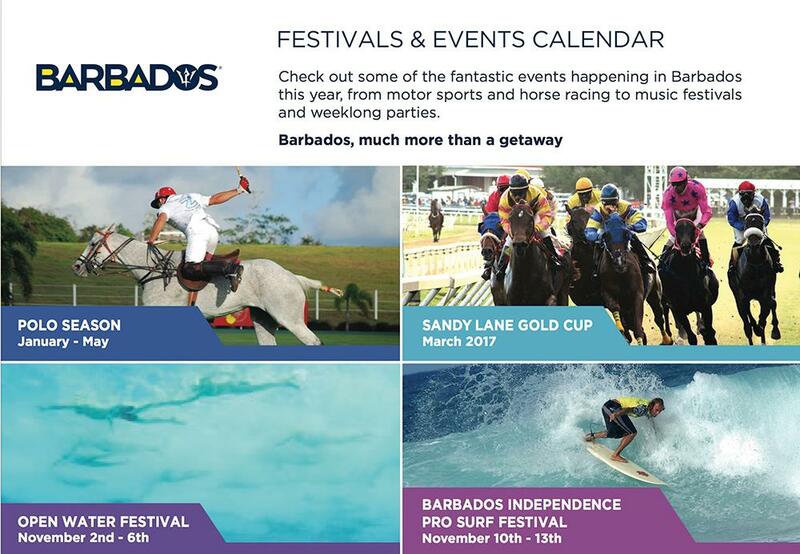 The "Grand Prize" of a trip for 2 persons to Barbados will be subject to travel "black out" dates in peak periods of travel. Entry to the sweepstakes does not require an entry fee or product purchase. The Barbados Tourism Marketing Inc. reserves the right to cancel this contest in event of a catastrophe and/or natural disaster.